Excuse me while I light the fire and make some hot chocolate after looking at these photos. GIVE ME ALL THE COZY! And give me all the beauty sets too! 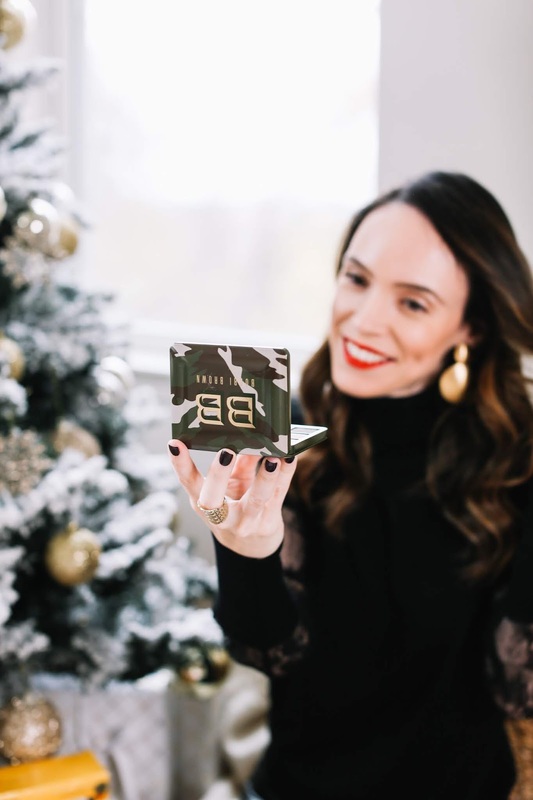 The Sephora Holiday Bonus Beauty Insider event is happening this weekend from 11/16-11/19 and all Sephora Beauty Insiders can get 15% off both in-store and online purchases using the code: BIBONUS, while Rouge and VIB members can get 20% off with code: ENJOY. 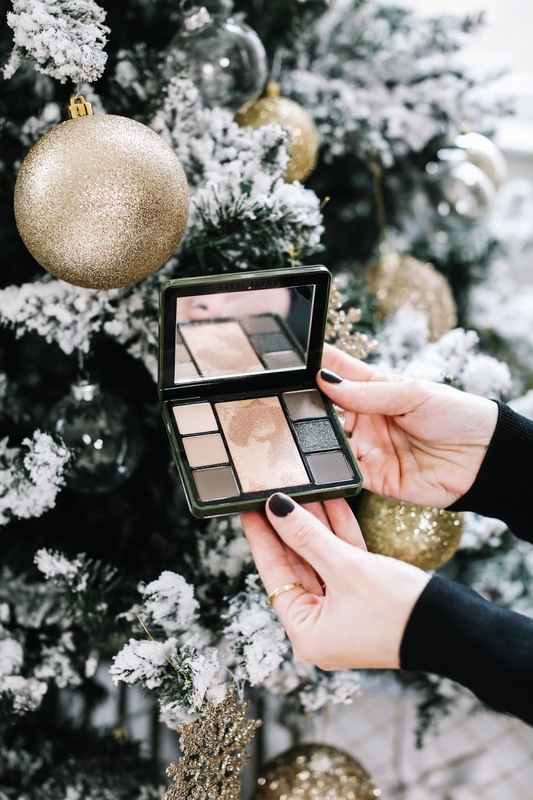 If you aren't familiar with the Sephora Beauty Insider program, you can read all about the benefits and sign up here. From discounts and promotions, to free makeovers in store, the Sephora Beauty Insider program is a must for all beauty lovers! And the more you spend, the more benefits and perks are available to you. 1. Jo Malone Miniature Candle Collection - I love candle sets because you can either gift the entire set or give each individual candle as a gift. If you have never experienced Jo Malone candles, they are worth the splurge. The scents are unique yet elegant, and the aroma completely envelopes a room. 2. Fresh Mask for Miles Set - I love a ton of different products from Fresh but their masks are a must have. They target a variety of concerns, always smell amazing and work for most skin types. This set contains their Black Tea Instant Perfecting Mask, Lotus Youth Preserve Rescue Mask, Sugar Face Polish and (my personal favorite) the Rose Face Mask. 3. Tatcha Bestsellers Set - This is a great skincare set to give someone that is interested in skincare and wants to begin a new routine. Tatcha is one of my favorite skincare brands and their products are incredibly effective. This particular set is suitable for any skin type and contains the Cleansing Oil, Classic Rice Enzyme Powder, Water Cream and Dewy Mist. What I love about the products they included is that they work seamlessly together or can easily be added into one's current skincare routine. 4. 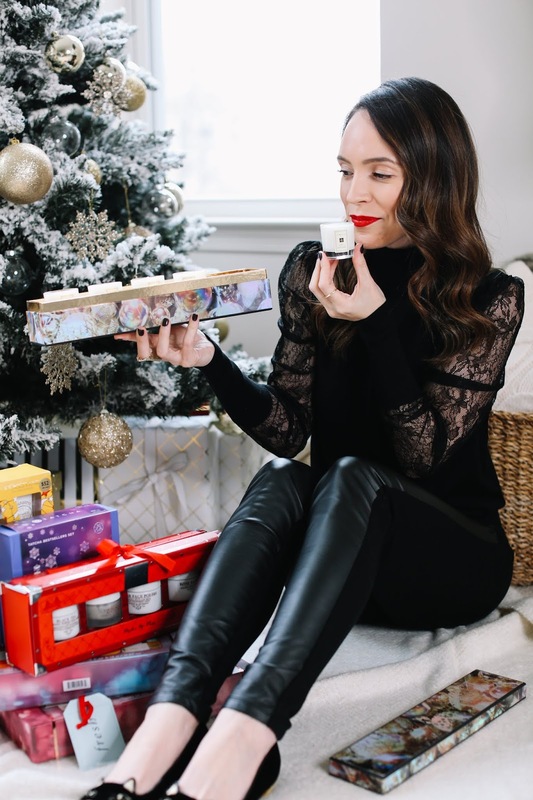 Sephora Holiday Perfume Sampler Set - I bought this set for myself. There I said it. LOL I love trying new fragrances and this one contains 15 of Sephora's best selling scents. I have only tried a few in this set so most of the fragrances will be new to me. This is the best way for me to get an idea of which ones I love and then treat myself to a full size (or ask Santa AKA Stan!). 5. 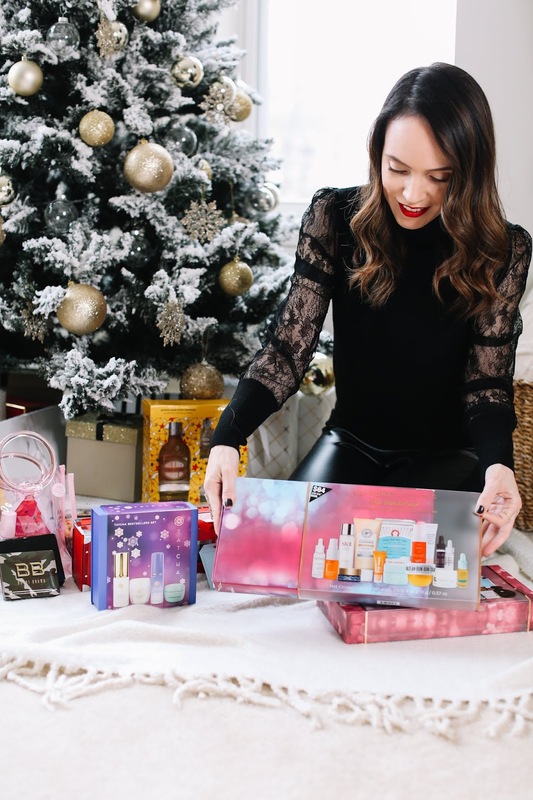 Sephora Favorites Skin Wonderland Set - While the skincare lover in me says this is the BEST set to get a fellow skincare aficionado, this is also a wonderful option to give someone that is new to the skincare world. 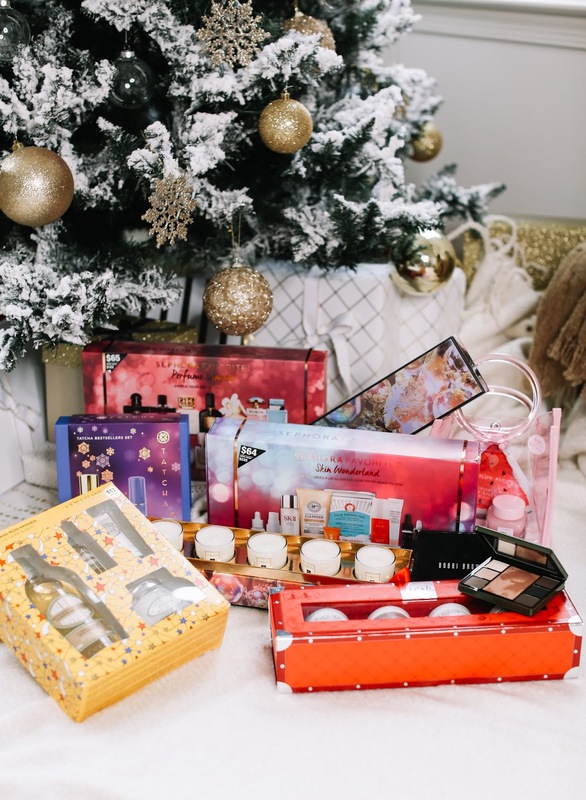 It comes with 15 samples of Sephora's top selling skincare products from cleansers and serums to moisturizers and eye creams - even body products! It's a great way to test a variety of items before committing to the full size. Another great use for this set is as a gift for the frequent traveler! One can have their entire skincare routine covered with this set. 6. Glow Recipe Limited Edition Watermelon Jelly Tote Set - I picked up this set out of pure curiosity because I have been dying to try the Watermelon Glow Sleeping Mask. And the Watermelon Glow Pink Juice Moisturizer and Sheet Mask have been on my radar as well. After testing all 3 of them, I finally understand why people have fallen in love with this line! For those that need a boost of radiance, the sleeping mask gives an amazing exfoliation that left me with super glowy skin the following morning. The moisturizer is suited for those with oily skin, but it works well on my combination skin and is a great lightweight option for the day. If this line has been on your radar as well, this is a great set to treat yourself to so you can try a bit of everything! 8. 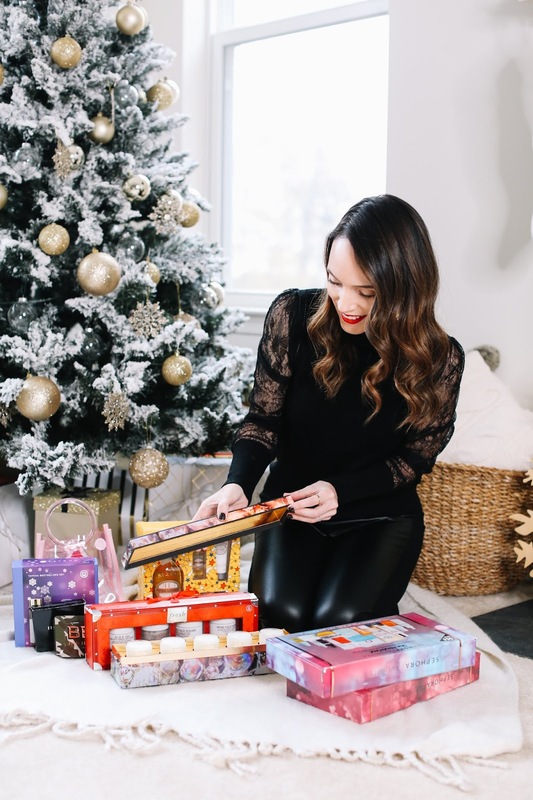 L'Occitane Holiday Almond Home & Away Set - Did you think I would do a blog post on the best holiday sets and not include THE most decadent body line out there?! The L'Occitane Almond collection has been a staple in my collection for years. This set contains the Milk Concentrate (a body cream that melts into the skin) and the Shower Oil (incredibly nourishing and perfect for the winter). If you really want to spoil someone, add on the Supple Skin Body Oil (it's pure luxury and one of the best body oils I've ever used) and the Exfoliating Paste to give the full pampering experience. I hope you were able to check off some people on your list with my recommendations. Happy shopping! This post is sponsored by Sephora. 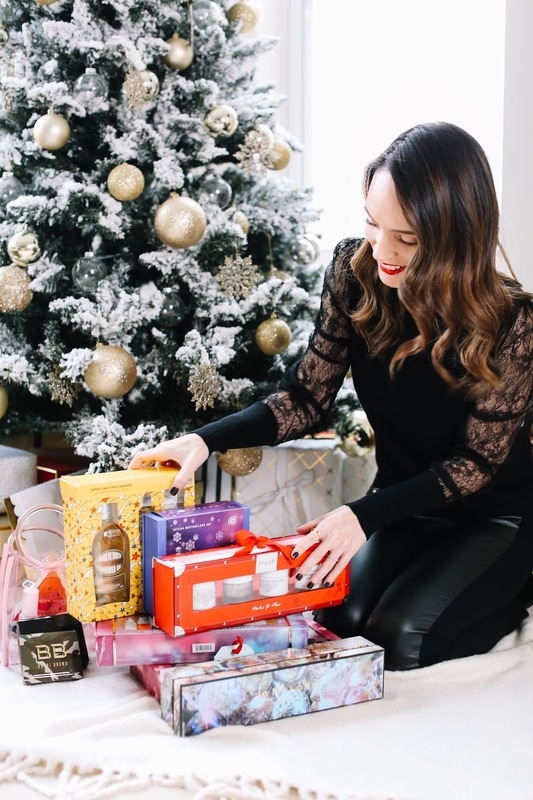 I am so thrilled to partner with them and share my recommendations for the Holiday Bonus Event. All the sets were chosen by me and all opinions are my own.